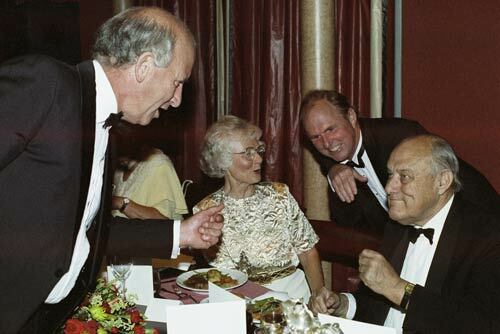 Before Muldoon’s departure from Parliament, Bob Jones (left) organised a surprise farewell dinner for him in January 1992. A photograph of that occasion shows the two former enemies talking amiably, while in the background Thea Muldoon speaks with Wyatt Creech, the revenue minister. In retirement, Muldoon was to live only six more months.